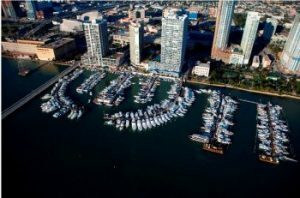 MIAMI, Dec. 4, 2010 – The 70th annual Miami International Boat Show & Strictly Sail Miami, one of the world’s largest boating events, returns Feb. 17-21, 2011, showcasing thousands of the newest powerboats, sailboats, engines, electronics and marine accessories from more than 2,000 leading manufacturers from around the world. With new attractions including the Dive & Travel Harbor featuring the ‘Be a Diver’ scuba pool, and the new Discover Boating Resource Center, a boating education experience offering free boat rides, on-the-water training courses, and daily seminars, the 2011 show is the ultimate destination to discover boating. 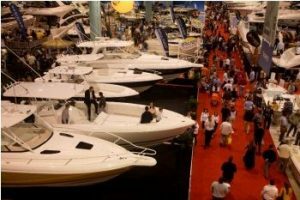 From personal watercraft and performance boats to sport fishers and mega-yachts, visitors will get the rare opportunity to board and compare boat brands side-by-side at competitive bargains and find exclusive show specials on the newest marine accessories and electronics. In addition to the vast selection of boats and marine accessories for sale and hundreds of products making their world debuts, there is a wide array of attractions boaters of all ages can enjoy throughout the five-day event. * New! 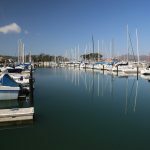 Launch your boating life at the Discover Boating Resource Center – This interactive educational series takes a hands-on approach to training that will include free, daily boating seminars covering a range of topics followed by on-the-water clinics to apply skills learned in the classroom. Courses include boating fundamentals, close quarter handling and navigation. * New! Dive & Travel Harbor – A true ‘show-within-a-show’ for diving and travel enthusiasts, this new area includes dozens of booths showcasing everything from scuba products and gear, to travel, resorts and boating destinations, plus a chance to learn how to scuba dive*. * *New! 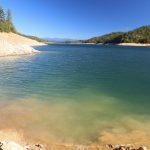 ‘Be a Diver’ Pool – Learn to Scuba! Anyone age 10 and older can discover the fun and exciting sport of scuba diving in the comfort of a tropically warm pool, test some of the latest scuba equipment and have a photo taken underwater as a keepsake. * New! 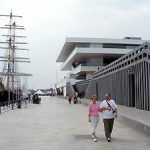 Coastal/Outdoor Living Pavilion – Visitors to the 2011 show can now learn how to make the most of their outdoor living space. Shop a wide selection of outdoor furniture and kitchen products and get advice from the decorating experts. * New! Meet Russell Newberry, Star Deckboss from the hit TV show Deadliest Catch! Catch a photo op, an autograph and the inside scoop on life aboard three of the most popular crab boats in America as you meet and greet this ‘Dangerous Deckhand’ from Discovery Channel’s hit series. Meet Russell Thursday and Friday, Feb. 17-18, 11a.m.-2p.m. and 3-6p.m. ; and Saturday through Monday, Feb.19-21, 11a.m.-2p.m. and 3-5p.m. * New! Tours & photo ops aboard the all-new Time Bandit Offshore Race Boat! This 30-ft. Phantom racer is named for the famous Deadliest Catch fishing vessel Time Bandit. The Time Bandit offshore race team is made up of team owner and driver Bob Mazikowski, an 11-year veteran with more than 40 wins, including three national championships and two world championships, and rookie throttle man Travis Lofland of another Deadliest Catch fishing vessel, Wizard. * Affordability Pavilion – Boating is more budget-friendly than people may think! New boaters can visit the Affordability Pavilion to find a variety of boats that can be financed for $250 or less per month. * Big Game Room – The Big Game Room is celebrating its eighth year as the one-stop marketplace for every angler. With new exhibits, the latest fishing products and destinations, activities and daily seminars from the pros, the Big Game Room is a must. Have a drink at the Marlin Bar while waiting for the next educational seminar to begin, or take a walk over to the interactive Bait Rigging Station, where visitors can improve their rigging techniques. 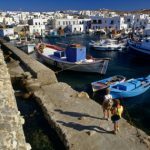 * Customs and Border Protection Local Boater Option – Customs and Border Protection (CBP) officers will be at the show to enroll eligible participants in the CBP Local Boater Option (LBO). 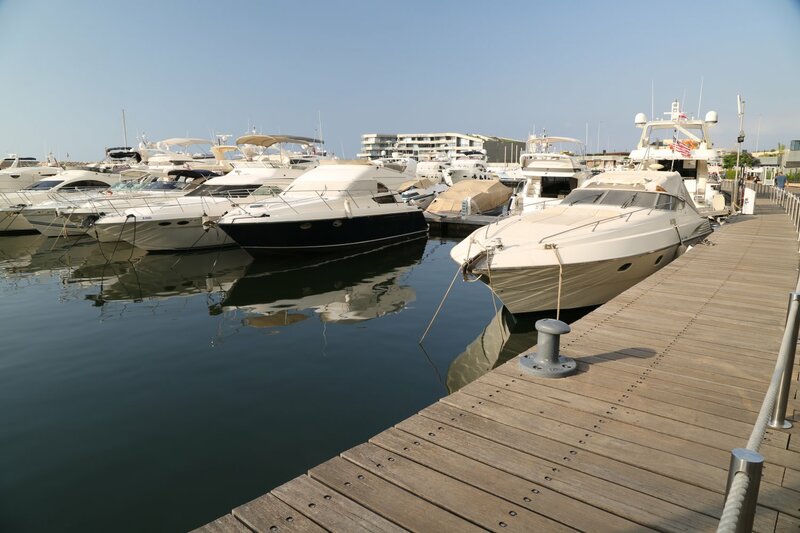 The LBO is a voluntary, free program which allows a participant to report the arrival of their private vessel, make customs declarations, and be cleared for immigration purposes by telephone, without the need to report to a port of entry in person. To enroll, individuals must present documentation (passport is preferred) to verify identity, citizenship or lawful permanent immigration status. The program is only available to private vessels arriving into ports of South Florida, Tampa, Puerto Rico and U.S. Virgin Islands. Officers will be available all days of the show from 10a.m.-6p.m. in booth #1747 in C Lobby. * Guy Harvey Artist Pavilion – Boating enthusiasts and art aficionados can meet marine legend Dr. Guy Harvey in the new Guy Harvey Artist Pavilion and shop the largest collection of Guy Harvey artwork, apparel and merchandise from more than 20 licensed Guy Harvey suppliers. Guy Harvey will be available during the show to meet and greet fans looking for his distinct signature on: Thursday, Feb.17, noon 5p.m. ; Friday and Saturday Feb.18th19, 10a.m. 5p.m. ; and Sunday Feb. 20, 10a.m. 4p.m. * Miami Herald Discover Boating Photo Contest – How did you Discover Boating? Sponsored by the Miami Herald, visitors to the show are encouraged to submit their best photos of how they discovered boating for a chance to win an Adirondack Pack Boat and a $500 show shopping spree. Ten honorable mentions win $50 show shopping sprees. Entries MUST be received at the Pembroke Pines show office or at the Discover Boating Center onsite by 4p.m. Saturday, Feb. 19. Visit MiamiBoatShow.com for more details. * Miss GEICO – Miss GEICO is back! The world’s fastest offshore racing boat, powered with the same turbine engines that flew missions in the first Gulf War and can reach speeds of more than 185 miles per hour, will dazzle any boating enthusiast with a need for speed. Check out a video of Miss GEICO in action! * New product introductions, one-of-a-kind innovations – Get an exclusive sneak peek at the newest boats, cutting edge technologies and must-have accessories throughout the show floor as exhibitors from all over the world showcase their latest and greatest. Boat show ‘must-sees’ include the world’s fastest human-powered submarine from Florida Atlantic University; EGO, the world’s first consumer compact semi-submarine; and more. Click here for a sampling of new products that will be featured at the show. 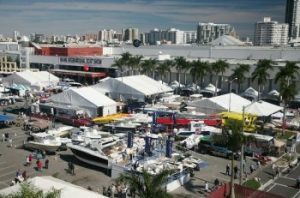 * Pre-Show Shopping – The Miami International Boat Show’s newest online offering allows attendees to pre-shop the 2011 show for the greatest deals on the newest boats by visiting MiamiBoatShow.com. Show goers can plan ahead and search boats by brand, model and more, in addition to scheduling dealer appointments onsite or at the dealership. * New! Meet Zac Sunderland – Zac Sunderland, the youngest person to ever sail around the world, will be making an appearance at the 2011 show to meet and greet fans and talk about his solo journey circumnavigating the globe. Details to come! * Author’s Corner – Stop by the Author’s Corner to visit with some of the industry’s acclaimed authors and adventurers and hear their stories first-hand. 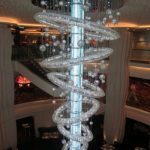 Visit StrictlySailMiami.com for a list of participating authors. * New! Interactive Rigging Seminars – Learn the latest in rigging techniques. Riggers will demonstrate their skills during free daily sessions held on a boat. * Two-Day Marine Meteorology Weather Course (Level 1) by Lee Chesneau – For serious skippers, Lee Chesneau’s two-day marine meteorology weather seminar series, Feb. 19-20, is a must! Chesneau’s 39 years of marine weather forecasting and strategic route planning on a global, synoptic and local scale for mariners has now been successfully transferred to the classroom, where he takes sailors step by step toward understanding both the ocean and atmospheric environment of any waters. Course fee is $325. * Yoga Onboard – Yoga Onboard is a practical guide to adapting traditional yoga postures onboard a sailboat and creating exciting new postures that work with the water. Yoga classes will be held on a boat at Miamarina at Bayside. * Eric Stone Live at Strictly Sail Miami – Enjoy the tropical sailing sounds of the Eric Stone Band live on stage Saturday, Feb. 19 at 6p.m. during the Sixth Annual Latitudes & Attitudes Miami Cruiser’s Bash. Latitudes & Attitudes TV will be on hand to record the concert for a one-hour special to air later. Everyone is invited! Visitors MUST be inside the show gates before 6p.m. * Kids Aboard: Free Kids Boat Building – Kids are invited to help build a 10-ft. wooden boat and then sail it at the show. Junior boaters can have fun while learning about teamwork and the skills involved in building a boat math, science, art/design, water safety and more. Learn more about the Kids Aboard Academic Boat Building Workshop at www.kidsaboard.com. Thursday, Feb. 17 (Premier Thursday): 10 a.m.-6 p.m.
Friday, Feb. 18-Sunday, Feb.20: 10 a.m.-8 p.m.
Monday, Feb.21: 10 a.m.-6 p.m.
Miamarina at Bayside – Strictly Sail Miami returns to Bayside for 2011! Advance tickets can be purchased at MiamiBoatShow.com or StrictlySail.com beginning Dec. 17, 2010. Courtesy shuttle buses will run between all locations, including the park-and-ride at the American Airlines Arena, from one hour prior to the show opening through one hour after show close daily. Daily parking at the American Airlines Arena is $10. New for 2011! Courtesy water taxi service is available between the park-and-ride at the American Airlines Arena, Sea Isle Marina & Yachting Center, and Strictly Sail Miami at Miamarina at Bayside 10 a.m.-6 p.m. daily. Visitors can now pre-shop the show online at MiamiBoatShow.com; get up-to-the-minute news at www.twitter.com/MiamiBoatShow; find us on Facebook. 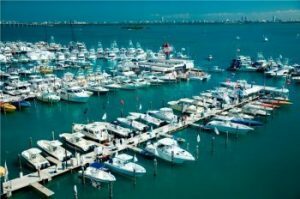 The 70th annual Miami International Boat Show and Strictly Sail Miami is produced by the National Marine Manufacturers Association (NMMA), the world’s largest producer of boat shows and the leading association representing the recreational boating industry. NMMA member companies produce more than 80 percent of the boats, engines, trailers, accessories and gear used by boaters and anglers throughout the U.S. and Canada. The association is dedicated to industry growth through programs in public policy advocacy, market statistics and research, product quality assurance and promotion of the boating lifestyle. For more information, visit www.nmma.org.